The following are FREE art resources available to artists by our sponsor The Artist NXT Level. Get top quality interviews and art resources from artists, curators and other art professionals. The podcast is hosted by Sergio Gomez. 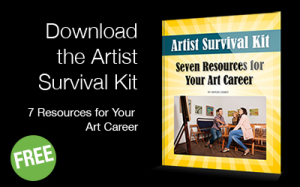 This PDF provides seven top art resources for your art career. From managing social media to archiving your inventory, these resources are a must have for the professional artist. 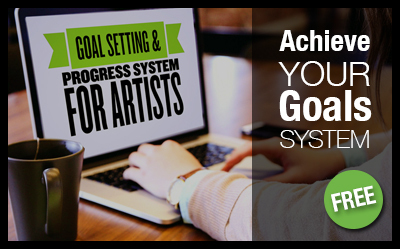 Set next level goals and achieve them in 12 months with this amazing free system designed for the busy artist. Achieve focus and the discipline to pursue your top goals. The system comes with a free 45 minute video training you do not want to miss. Five Effective Strategies to Build Momentum for Your Art Career and Stay Motivated. This 5-day free video course arrives to your inbox with five and practical effective strategies to make the best of the momentum you build when having a show or art event. Don’t let momentum slip by. Take action.